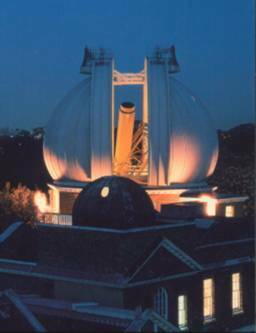 The Flamsteed is an amateur astronomy society at the Royal Observatory and National Maritime Museum (NMM) in Greenwich, London SE10. It is named after the first Astronomer Royal, John Flamsteed. Eminent speakers at the Society have included Prof Colin Pillinger, Sir Arnold Wolfendale (14th Astronomer Royal), Prof John Brown (Astronomer Royal for Scotland), Heather Couper, and Prof Dame Jocelyn Bell-Burnell. Pre-Christmas meetings have been held in the famous Octagon Room at the Royal Observatory. Excursions and visits are arranged during the Summer, along with some social activities. In the past we have visited Herstmonceux, Jodrell Bank, Rutherford Appleton Labs near Didcot, the Herschel Museum in Bath, the Orwell Park Observatory near Ipswich, and the Paris Observatory. The Society regularly holds observing evenings using members’ own telescopes as well as the Society’s 10-inch Dobsonian, made by members. Observing sessions are held on Blackheath SE3, at Cudham in Kent, and at Romney where a member has a permanently-mounted 14-inch SCT telescope. In addition the Society stages viewing sessions with the ROG’s 28-inch Great Equatorial refractor, the largest of its kind in the UK, and seventh largest in the world. Some members of the Society work as volunteers at the ROG, as observing assistants and tour guides. One of the Society’s objectives is to help the ROG by making donations of equipment to enhance the educational work. Two Hydrogen-alpha solar telescopes have been donated and have enabled visitors to the Observatory to see prominences and sunspots. Members participated very successfully with the solar telescopes at ROG events for the public to watch the 2004 Transit of Venus and the partial solar eclipses in 2005, 2006, & 2008. We have access to the ROG Peter Harrison Planetarium, the most modern in Europe, and we arrange briefings about the night sky presented by the ROG astronomers. Once or twice a year we stage telescope workshops at the ROG to help beginners choose and use starter telescopes, or to assist more experienced observers with planning an upgrade or using advanced techniques. It has over 250 members who represent the full range of interests and experience in astronomy. Beginners are very welcome. The Society was founded in 1999, and is part of the membership organisation of the National Maritime Museum. Our lecture meetings are held on the first Monday of each month between September and May in the lecture theatre of the NMM, or in the Peter Harrison Planetarium at the Royal Observatory Greenwich (ROG). We feel it a privilege to be able to hold our meetings on a site of such astronomical significance, and to have access to the ROG professional staff and other eminent guest speakers. As well as the history of the subject, lectures are arranged on all aspects of astronomy including cosmology and space flight. Information about our previous meetings and visits can be found in the Meetings & Events section of this website.